28-13 Steelers late. Matt Moore brings the Dolphins down the field for a solid backdoor cover. Green Bay’s win out has been wildly overrated. They are a few weeks removed from blowing a 17 point lead to Matt Barkley. Packers are here because the NFC North was an unmitigated disaster in 2016. Not sure people realize how good this Giants secondary is. There’s not a pass catching threat on the Pack that will give them problems, as long as they don’t allow Rodgers to run around and buy time. It’s the tournament. 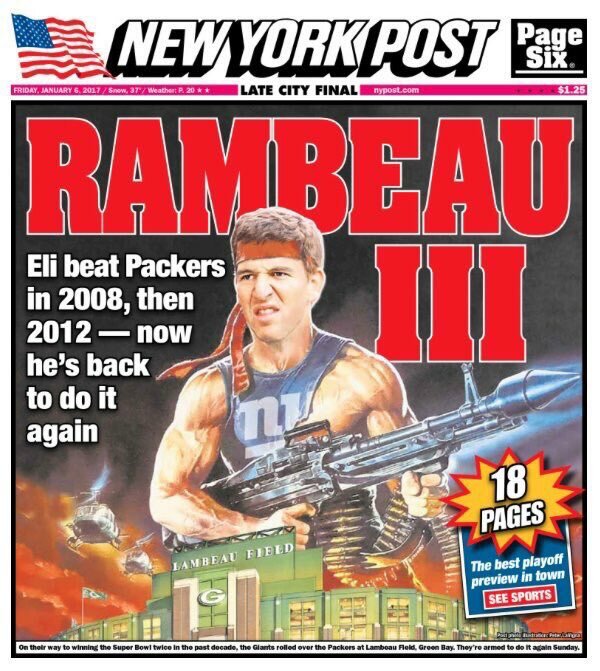 You’ve seen what Eli does in these games, right?